This is the name of the solo project by Zia, the former Ozric Tentacles bass player. These tracks were recorded over the last 10 years. This is a private CD-R release with some nice artwork. Former Ozrics keyboard player Joie and current synth wiz, Seaweed as well as Jumping Jon, contribute to the CD as well. The opening number. "Brandistan", is great and highly inspired by Eat Static. "Warriors" is next and features some samples from the movie Warriors. Remember, "Warriors, come out and play"? It opens with a quote and then some intense drum programming. After a few minutes, a cool mideastern synth riff comes in and it sounds like Seaweed. This track is very percussive. "The Dalai", has Jon playing some cool horns at the beginning and other parts before the really funky techno groove takes over. This reminds me of some of the early Eat Static stuff. Personally, I think Eat Static are the best in the game at this type of music, so if I compare it to Eat Static that is really saying something. "Holefiller" begins with some spaced synth drones and fast percussive fills, before taking off in another really cool mushroom infected groove. I am not sure if there is any real bass on the CD but at times it feels like Zia has layered it under the bottom of the sound. It could of course all be computers and ones imagination! "Mellocycle" is a short 2 minute synth track with some more horns. A slow lounge space track to break up the middle of the CD. "Put It In My Head" really is a headphone track with spaced and strange sounds zooming all over the place. Strange but wonderful stuff. "Inshalla" is an ambient chill out track, quite different from the rest of the CD. "Bolshi" is next and features Joie from Eat Static. This track reminds me a lot of Nodens Ictus at the beginning but then the hypnotic groove begins where the cool bass line meets the synth line and they battle it out. Incredible track! The CD closes with "Paprika". 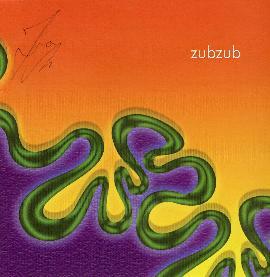 Really some brilliant spaced out ethno techno material by Zia, the former Ozric Tentacles bass player. I look forward to hearing more of his material. Look for a short interview coming soon on Aural Innovations!